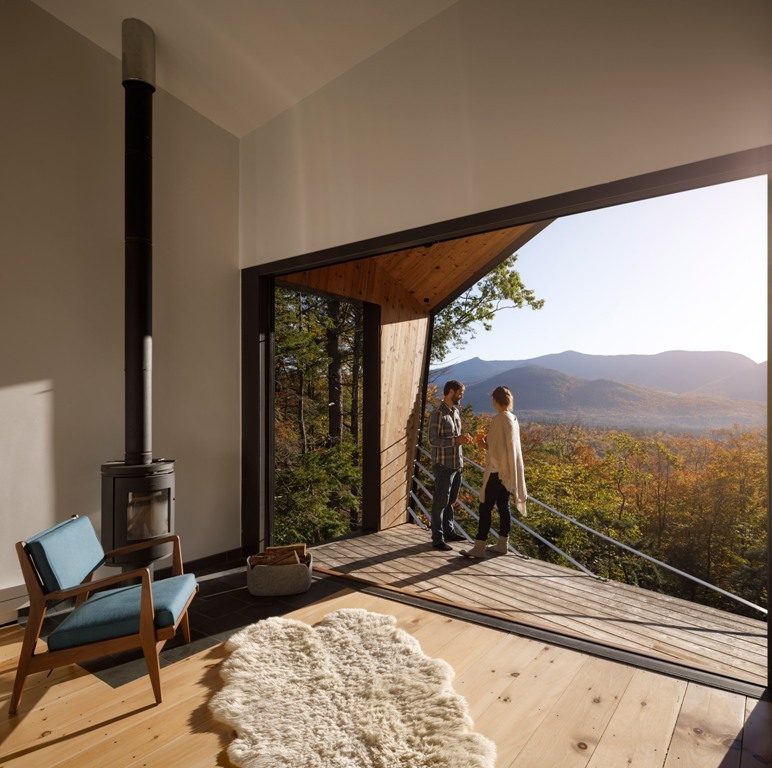 Sometimes all we need is to spend or weekend in a remote forest cabin, and the one we are sharing today is an ultimate dream. 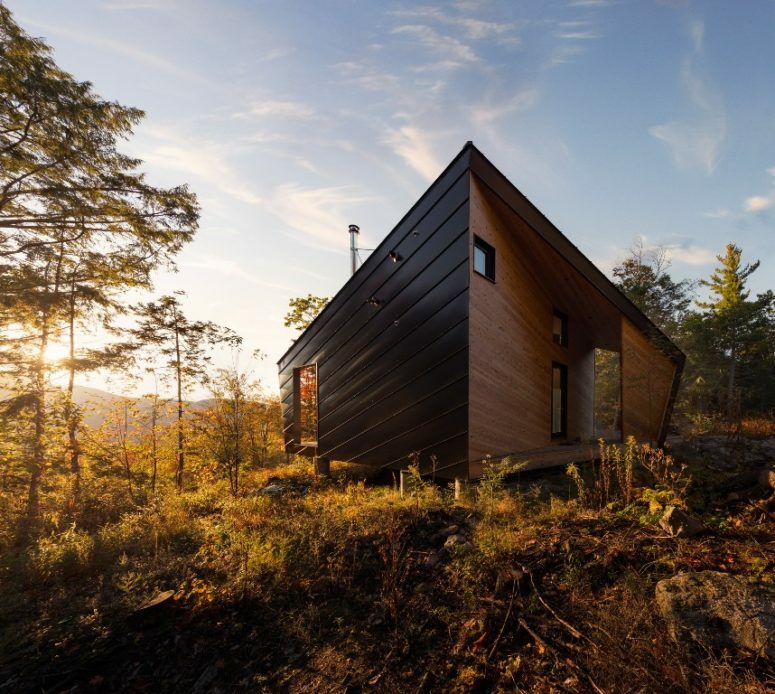 Measuring 84 square meters, this Cabin on a Rock home was designed by I-Kanda Architects in the woods of New Hampshire. 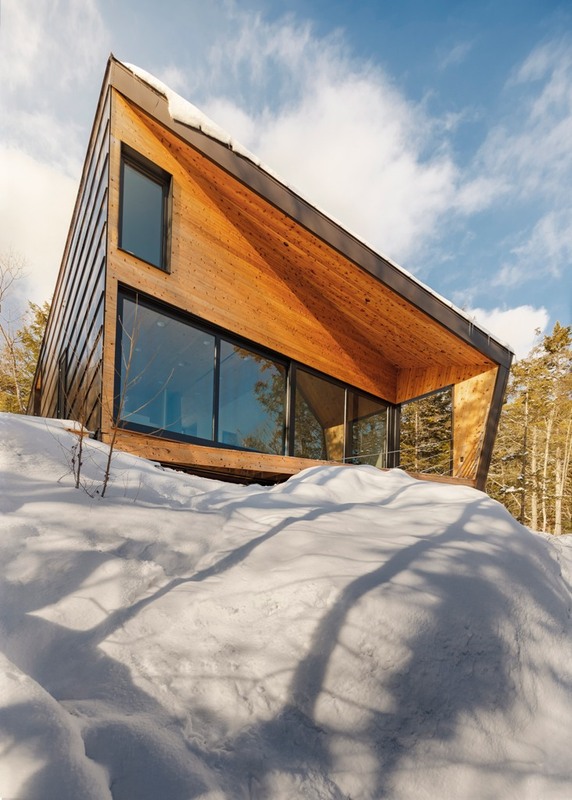 The cabin is a family getaway surrounded by evergreens, with a mound of bedrock supporting the unit as a timber porch cantilevers over its slope. The house has a pre-manufactured timber frame that was delivered to the site. 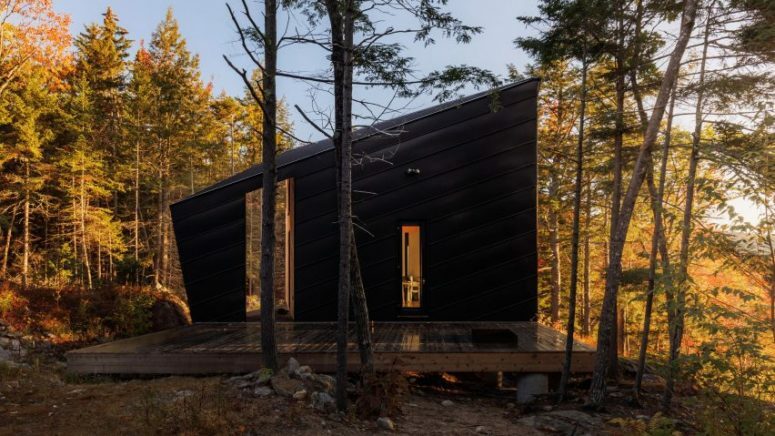 The cabin has strong geometries, and is clad in black metal and timber to accent its varied lines. There’s a rectangular outdoor deck that leads to the main entrance. 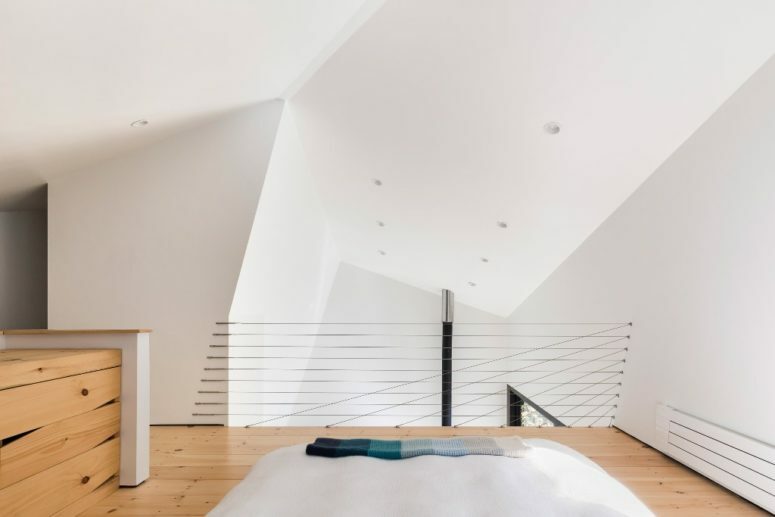 The small footprint dictated the number of rooms, and led to a lofted area overlooking the home’s main living space. Inside is a sitting room and kitchen, which features items like a built-in cabinet and refrigerator, and a wood-burning fireplace. 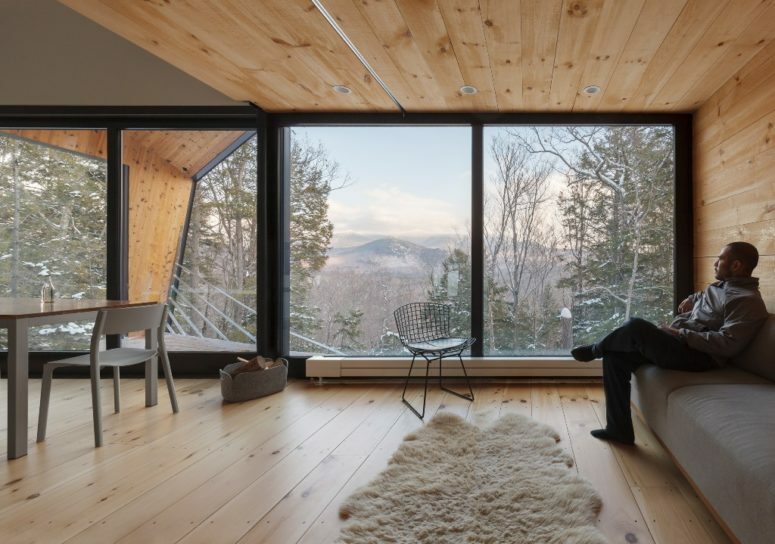 Past the sitting area is a covered timber porch that looks out towards the valley. 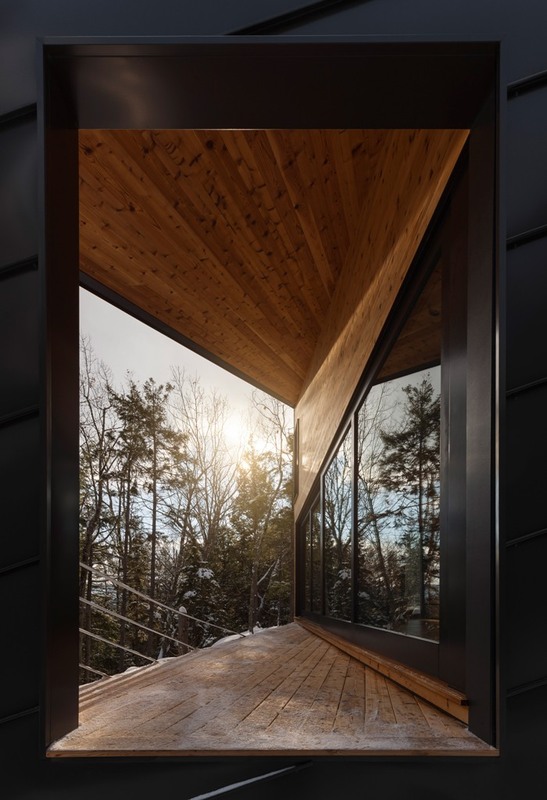 The room faces east, allowing in morning sunlight from a 24-foot-long sliding glass wall. Behind the kitchen is a bathroom, and steps leading up to the lofted area and a mechanical closet. 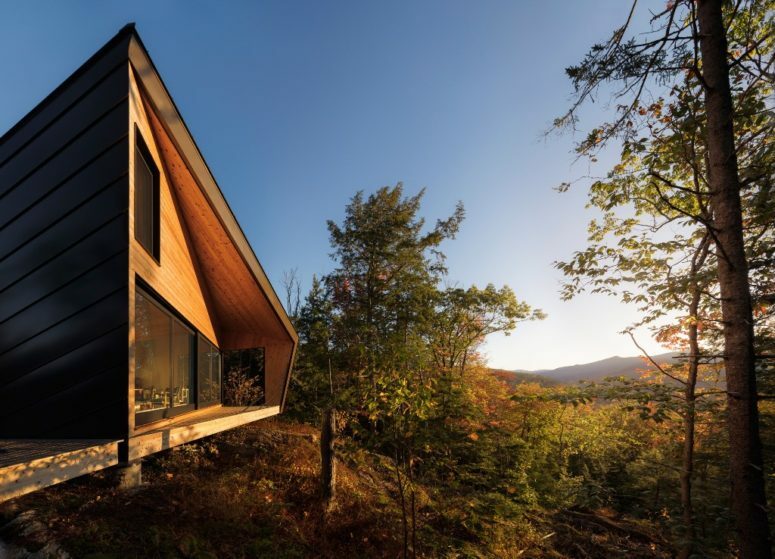 Additional living space is created from two triangular decks that flank the house. 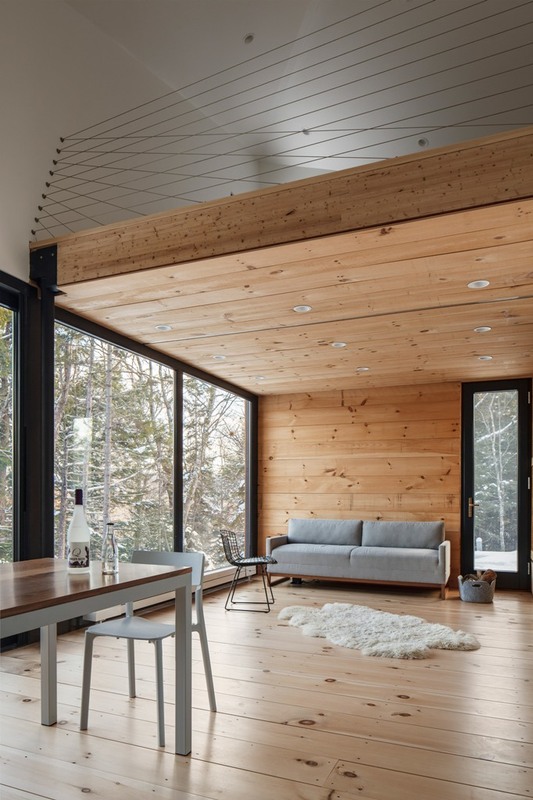 Interior decor is kept minimal, with wood, concrete and metal used throughout to aesthetically tie the entire space together. Wire handrails and half-wall feature on the loft and stairs.